We Just Made Paleo Lollies… Yes For Real Like The Jelly Baby Kind. Today we kind of blew our own minds. We made paleo lollies… yep,true story. What do we mean by lollies? Glad you asked. Think jelly babies, or snakes, or jubes… we’re talking jelly lollies and we totally, completely, 100% made a healthy version. We even made a video showing you how to make them! We’re talking so healthy, you could pretty much eat the entire batch and that would be ok. The only annoying thing would be that you don’t have any left for tomorrow so you’d have to whip up another batch. Which actually isn’t even that bad of a thing because the recipe is so darn easy. Do you guys get sick of us saying that? Anyway! 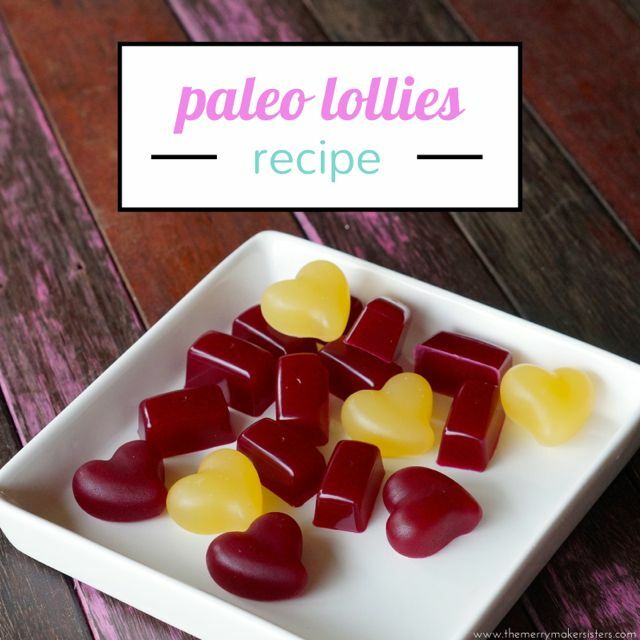 Back to the important part… the recipe for paleo lollies! This may be the most excited we’ve ever been about a recipe. Imagine being able to fill a kids lolly bag with sweets that are actually good for them! This is big… this is major! This is EXCITING stuff! Basically, the paleo lollies have 3 ingredients: fresh juice, gelatin and sweetener of choice. The lollies are good for us because of the gelatin and you can read all about the benefits of gelatin here. But before you do that… whip up a batch of these babies now! You won’t regret it… as we said: life changing! We were inspired by Chef Pete Evans for this recipe. We just got a copy of his new book, stay tuned for a review! ps. we love seeing your merrymaker creations on social media! Use #themerrymakersisters so we don’t miss it! In a small sauce pan combine the juice and sweetener. Sprinkle over the gelatin and mix together. Allow to stand for 5 minutes (it will go jelly like, it's like a science experiment almost!). Place the sauce pan on to medium heat and continuously stir for 5 minutes until smooth. 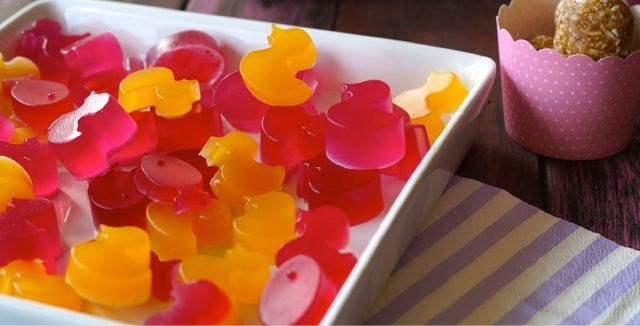 Carefully fill silicon molds or ice cube trays with the lolly mix. Place in to the freezer for 20 minutes or until set. Pop out the paleo lollies and enjoy! Store these in an airtight container for around 1 week. We like to keep them fresh in the fridge but they also do ok in the cupboard, just be careful there's no moisture left on the lollies or they will go 'off' very quickly!